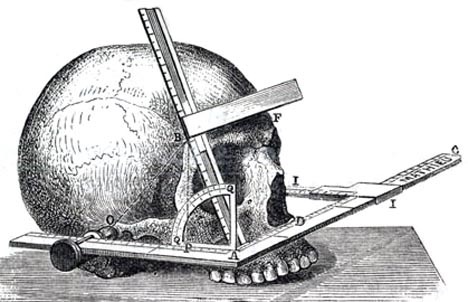 The branch of science that deals with the measurement and proportions of the human body and their variation. During a recent visit to a friend's house, I was surprised when he asked me to stand against a particular wall so that he could mark my height on the door frame. Although this was overtly for the amusement of his children, it would seem that my friend is a budding auxocological anthropometrist, as it was he that suggested I include the word anthropometry when I explained my Lexicolatry project to him. To summarise, anthropometry is a vast subject dealing with many and varied applications to measure the individual human being. It's been a tool in anthropology, investigation, the study of human traits and variation and paleoanthropology to name but a few. A modern application, however, comes in the industrial era with its use as a tool in designing furniture, machinery, clothing, etc, to be human-friendly and ergonomic. This is an ongoing science because human trends in shape change, as is evidenced by recent warnings of a world-wide obesity epidemic. If you're interested in learning more about anthropometry, click here to visit the Wikipedia page. And if you're really interested (and I mean really, really, really interested), click here for a link to buy The Handbook of Anthropometry, priced at an eye-widening €799.99. Now there's a price that separates mere door frame scratchers from the real anthropometrists.